Barbie Vlogger is an ongoing web-exclusive series where Barbie chats directly with her audiences about everything that is going on in her life. In her vlogs. Barbie takes on fun YouTube challenges, shares DIY activities and speaks openly about topics on her mind, like feeling blue sometimes or realizing that girls are in the habit of apologizing too much. Explore the journey of Barbie over past six decades in this new Hulu documentary. You will get an insider's look at how Mattel evolved the doll, in step with the modern feminist movement. Written and directed by Andrea Nevins. Peek into the everyday life of Barbie in this hilarious and heartwarming new series. 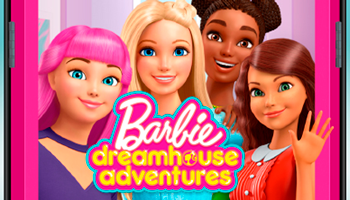 From fun road trips to suster shenanigans, Barbie discovers anything is possible with a little help and a whole lot of laughter.